Cascading switches is an easy way to add more ports to an existing network. This is good for connecting two or more groups of computers that are far from each other. This article will guide you in cascading your switch to another switch. 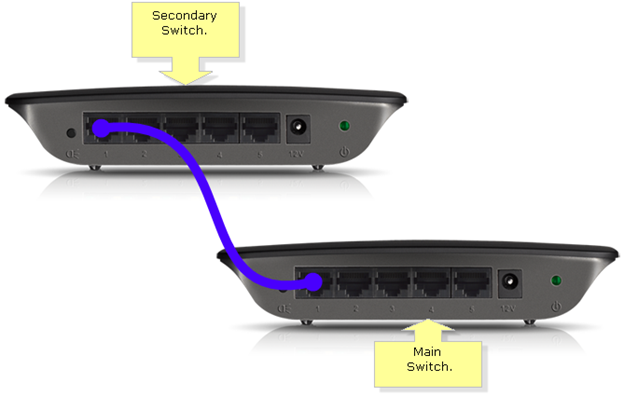 To connect a switch to another switch, follow these steps. Connect an Ethernet cable to one of the numbered ports on the secondary switch, then connect the other end to a computer. NOTE: Repeat step 2 to connect additional computers. In this example, we are using the SE1500 as the secondary switch. Image may vary depending on the model of your switch. Connect another Ethernet cable to one of the ports at the back of the secondary switch, then connect the other end to one of the ports at the back of the main switch. Plug the supplied power adapter to the secondary switch, then do the same for the main switch. Power ON the rest of the devices connected to the switches. Check the LED indicator on the switch. The LEDs correspond to each port at the back of the switch. NOTE: A blinking LED light indicates a correct connection. 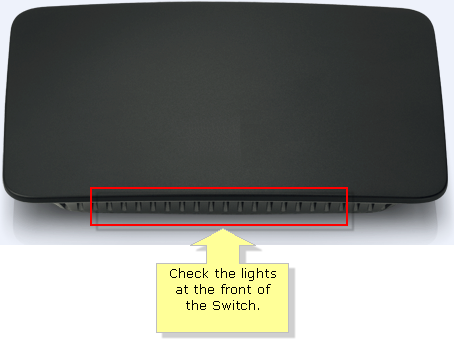 The location of the LED lights will depend on the model of the switch you are using.